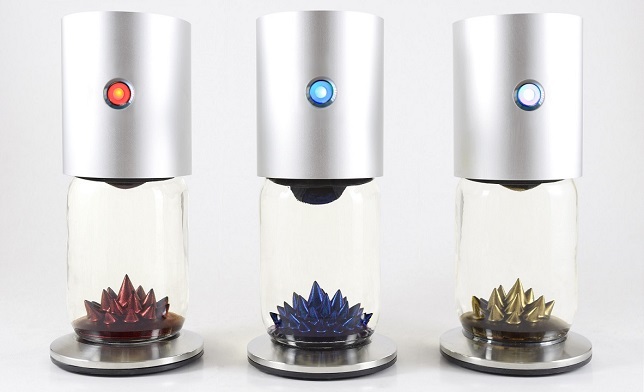 The RIZE is an amazing spinning, spiking desktop sculpture that creates a mesmerizing blend of science and art and will be the center of attention wherever it's placed. The SPIKE is our most affordable display made from the same high quality aluminum and glass as our other models. 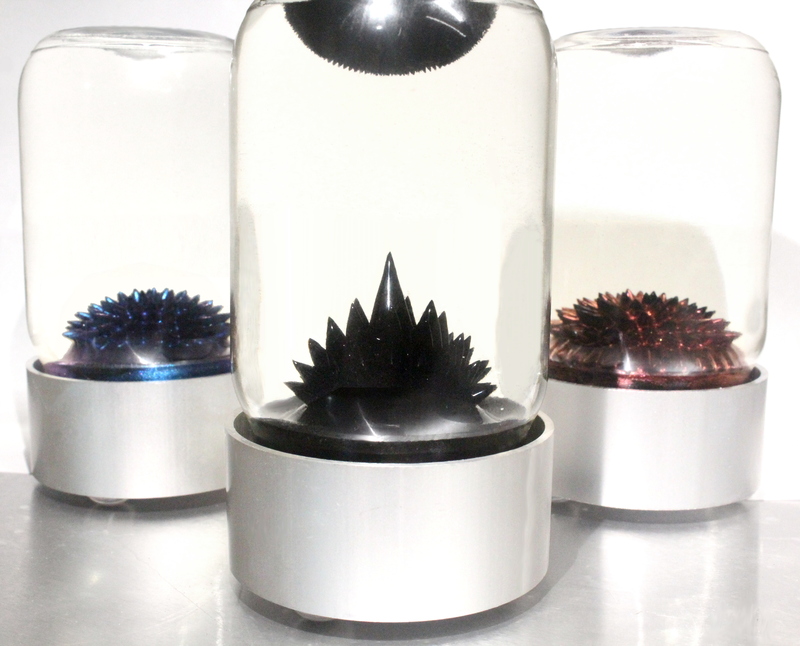 It's designed to showcase ferrofluid's coolest ability, giant spikes! 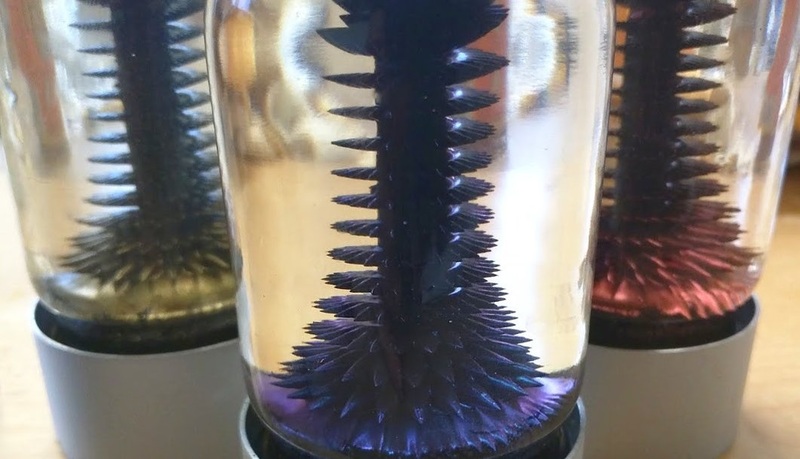 The Ferroflow is a desktop sculpture containing a prototype rocket fuel called ferrofluid that responds to magnetic fields. It's also touch sensitive and fully automatic, the first of its kind. 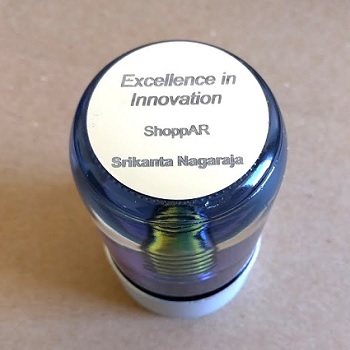 Looking for unique gifts or awards for your company? 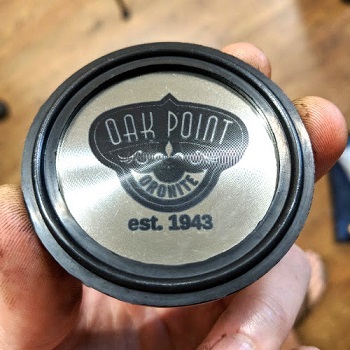 We offer custom laser engraving and wholesale discounts! Looking for something completely unique? We can create custom sculptures of any size or shape in our studio. 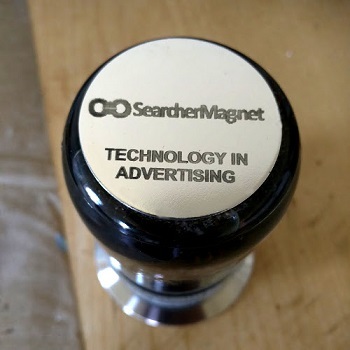 We have 3D printers, a metal shop, and even a laser cutter. We've created many large sculptures for museums and events and can turn your dreams into reality. Contact us today with your ideas and we'll make them happen.